Snowy Wings Publishing, 9781948661171, 342pp. 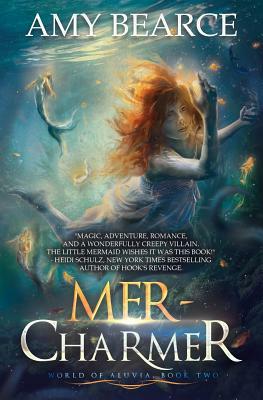 When Phoebe finds out a terrible sea creature is awakening that preys upon the peace-loving merfolk, she becomes determined to help them, even though it means risking her life deep in the ocean. Beneath the waves, Phoebe learns she's more like her sister than she realized. The merfolk are drawn to her, and she can sense the magic of the sea all around her. Magic is finally at her fingertips--which is precisely why the stirring dark power under the waters decides it wants her most of all. Now she must not only help the peaceful merfolk escape this ancient enemy, she must master her raw, out-of-control powers. If she fails, she will die and darkness will rise and enslave the merfolk once more. But embracing her full power could cost her the very people she loves the most.